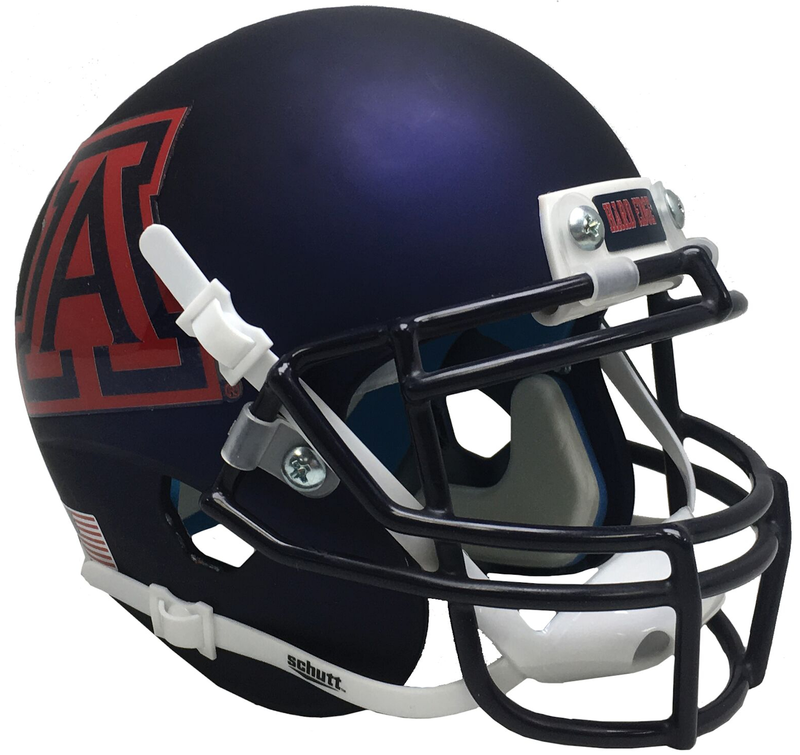 The newest collectible football helmet from Schutt is the same helmet the players wear on the field, including authentic steel facemask and full interior padding. Schutt Air XP Authentic Football Helmets are great for displaying in your home or office and make the perfect gift for the true sports fan. Start your collection today The same helmet the players wear on the field Helmet is for display only. Official NCAA helmet decorated in your teams colors and your teams logo. Authentic polycarbonate shell with either high gloss, matte, satin or chrome appearance. Full interior padding, authentic steel facemask and 4-point chinstrap. Helmet stands about 10 tall and is only made in size Large (7-7.5 hat size).